In the modern era, information security is the most important term that the organisation, people and stakeholders are facing. The development of the technology in the operations of the business also increased the possibility of risk and vulnerability of security issues. Information security is the term that is mainly a practice or process of safeguarding the information of the business or the personal from the unauthorised access. This process restricts the unfair use of the data and disclosure of the privacy factors. Both electronic and physical data are safeguarded against the negative action or the sustainability (Anderson and Moore, 2006). Information security is the most contemporary strategic management process that the organisations and the statutory bodies are adopting in terms of safety of information security. In the year 2012 the world faced a lot of problem regarding the information safety issues. The information set up of the global faced the intense threat of the safety in the numerous ways. Recently the Muslim hackers are so much developed in knowledge and software that they are able of getting the access of many secured websites. The use of the Distributed Denial-of-Service (DDoS) will lead to a situation when the attacks were made against the information system of the U.S. banks. These action leads to the situation while the huge cash cheating or theft related problems are faced (Axelrod et al. 2009). The FBI and the other major crime dealers or the investigation groups are looking for the root of the crimes and the adapting the proper actions to get the risk free and threat less condition of the business information. Rather the information can be safeguarded well to sustain and adopt the growth. The experts are providing any business management, the regulatory authorities, or the institutions with the information security and vulnerability warnings. Therefore, in the upcoming years, the organisation can be able to get the allocation of the accurate strategies regarding the threats of the information security (Gordon and Loeb, 2002). As the technology got the development many people’s are having tablet pc, android mobiles or the smart phones that will make the able to surf the internet from anywhere in the world. During the years 2013-14 the globalised businesses are offering more option regarding the cloud and mobile computing service in terms of e-business and online Information Security service providing. Peoples are enjoying the option of having the online service like the banking, travelling booking, online payments of the process. Moreover, the contemporary situation is having many online stores as the third party sellers of the organisations. The modern cloud and the mobile computing require of the security checks. This is mainly the action and the process of protecting the corporate law data, which are required of special privacy. The IP address of the web access from a mobile device use to vary every time therefore the safety can be break easily (Osborne and Summitt, 2006). The global security advisors prescribed several remedies for the variety of the mobile devices used by the peoples. Bring-Your-Own-Device (BYOD) is the mostly used recommendation of the organisation and the people. Corporate and personal information are quite unsafe if it is explored from the smart phones. Therefore the corporate and normal people are seeking for the safety in terms of the getting in any short of action related to the e-commerce and the e-payments. Personal information safety is required to get the allocation of the monetary and financial term. Recently the major people are having smart phones or the tablet pc that is portable ones. Peoples are looking for the action or the online support to utilise the limited time they have to make any short of action apart from the occupational and family duties. The organisations need to develop the variety of the mobile application for the online purchase and the transaction. Sometimes the security of the corporate data can be secured through the limitation of the access from the employee owned devices. This type of strategy of developing smart phone application of the organisation will attract the customers and individuals. Moreover the rate of the data redundancy of the security issues can be reduced through the development of the application (Whitman, 2003). The business will face several threats of the unprecedented access of the websites or the information. Therefore the business or the authority needs to built strong system to meet the proper safety of the information regarding the allocation of the strategies regarding the safety issues. New technology like the BYOD is part of the cloud system. This type of the system will provide the security in the operation and the online server or the data adequacy. Cloud computing defends the DDoS system attacks. The attacks were made against the U.S. based banks information system and the money and financial positions they are having. Hackers are defended with the term of the high-bandwidth. However the attacks are technologically upgraded (Peltier et al.2005). The cross platform and the post flashback attacks are caused by the malware system of soft ware. Operating systems like the Mac, Linux, Unix, Android are quite organised to face the attacks of the malware as by the initial checking. Therefore this systems are quite safe for the users and the information and the sustainability is effective enough. By the year 2012 Flashback malware is replacement strategy of the various other malware writers to attack the information base of the organisation. Flashback is the system software that involves the Trojan virus to infect the computers. Mainly the multiple OS are attacked through the cross-platform vulnerabilities of the malware and software. Java and Flash software are manipulated to affect (Dhillon and Backhouse, 2000). In the recent era the malwares are used to destroy the critical infrastructure and the other famous institutions. The first sponsored prepaid third party malware functioning was observed in the Saudi Arabia. The action was made to destroy one of the world’s largest crude oil exporter. Saudi Aramco workstations failed in making the operations that is controlled by the technology. Also the technological purpose use to control the quality and quantity of the products of the organisation. The malware attack was able to destroy the set up of the world’s leader oil exporter. 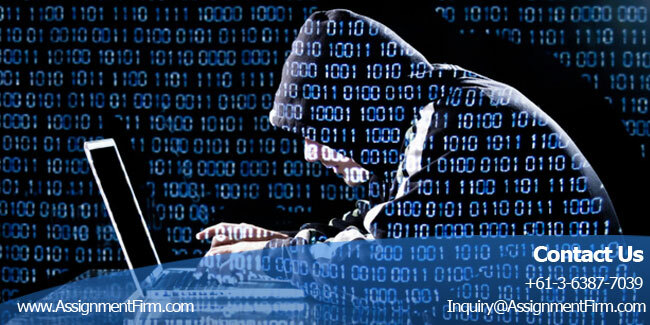 Hackers are gathering certain rate of the sophistication is terms of the attacking any setup. They will be trying for the much more destruction by attacks on infrastructure of a country. This will help them financially also in terms of the sponsored or requested attacks. This type of the attack will have huge impact in terms of the development of the particular area and the location and the fear of the hackers (Abuturab, 2012). The peoples are very much attracted to the smart phones and the operations of the payment modes. Moreover, the credit cards can be utilised to the payments related actions and the online transactions. Therefore, the digital attackers can attack the cutters information in terms of getting the financial information and steal the money from them. Smart phones users are getting the allocation of the online payments and the transactions so that they can save the time. But in order to save the time they are just enabling the risk of getting the threat of losing the money or positions of the financial assets. Moreover in the virtual world the affects of the virtual action imitating personalised data will lead to a situation when the people can feel the uncertainty of the future actions (Anderson, 2001). Cloud computing and the mobile applications increased the rate of the different type of the payment or online business or purchase of the products. Mainly these actions will lead them to utilise their personal data for the actions. Sometimes newly established corporate level and the normal consumers’ level are lack of the awareness of the factors of the threats aligned in the operations of the online or digital activity. It can be mitigated by the education or knowledge providing of the organisation. The managers and the people needs to educated with the past incidents and the victim survey can make them enable them to meet the effective rate of the decision making as well as careful operational challenges (Jain et al. 2006). Losing data is the situation when the malware effects the operations of organisations or set ups. Personally Identifiable Information (PII) is one of the most common technique that the organisation can adopt to secure their operational process. On the other hand utilisation of the intellectual property, sensitive information regarding the corporate, state or national set ups are required of specially cared to get the safety (Vacca, 2009). Information security will increase the safety of the customers as well as the growth of the economy also. Fraudulent activity and fake profiles will lead to a situation when the national income will reduce gradually. Technological competence will increase the rate of the safety with contemporary measures.